The press conference will take place on 15th November, 2013, at 10:30am. 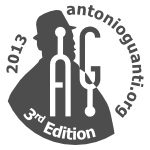 The Artistic Director M° Carmine Antonio Catenazzo and the president of the Jury M° Walter Marzilli will be present. 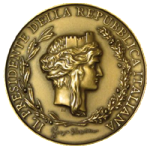 The conference will take place at the office of the Polifonica Materana Pierluigi da Palestrina, Piazza del Sedile 3 – 75100 Matera. 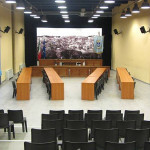 The Competition and the Winners Concert will take place in the Sala Consiliare “Pier Paolo Pasolini”, Via Sallustio (c/o Centro Commerciale Il Circo) – Matera. 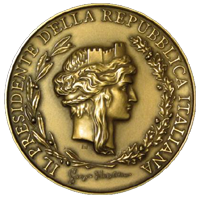 The 3rd “Antonio Guanti” International Choir Competition received the Medal of the President of the Italian Republic. 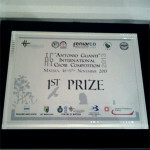 The reward will be officially given during the Competition, by the Prefect of Matera, dr. Luigi Pizzi.